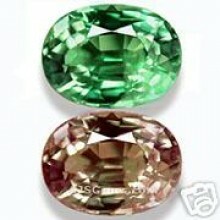 Product Description Gemstone Name : Natural colour changing alexandrite Number of Pieces: 1 Pc Weight: 2.98 ct Gem Shape: .. Product Description Gemstone Name : Natural colour changing alexandrite Number of Pieces: 1 Pc Weight: 3.32 ct Gem Shape: .. Product Description Gemstone Name : Natural colour changing alexandrite Number of Pieces: 1 Pc Weight: 3.53 ct Gem Shape: .. Product Description Gemstone Name : Natural colour changing alexandrite Number of Pieces: 1 Pc Weight: 4.01 ct Gem Shape: .. Product Description Gemstone Name : Natural colour changing alexandrite Number of Pieces: 1 Pc Weight: 4.08 ct Gem Shape: ..